I have a very excited group of children in my daycare this week. The school age children are here full days and everyone is bursting with energy as Christmas is almost upon us. 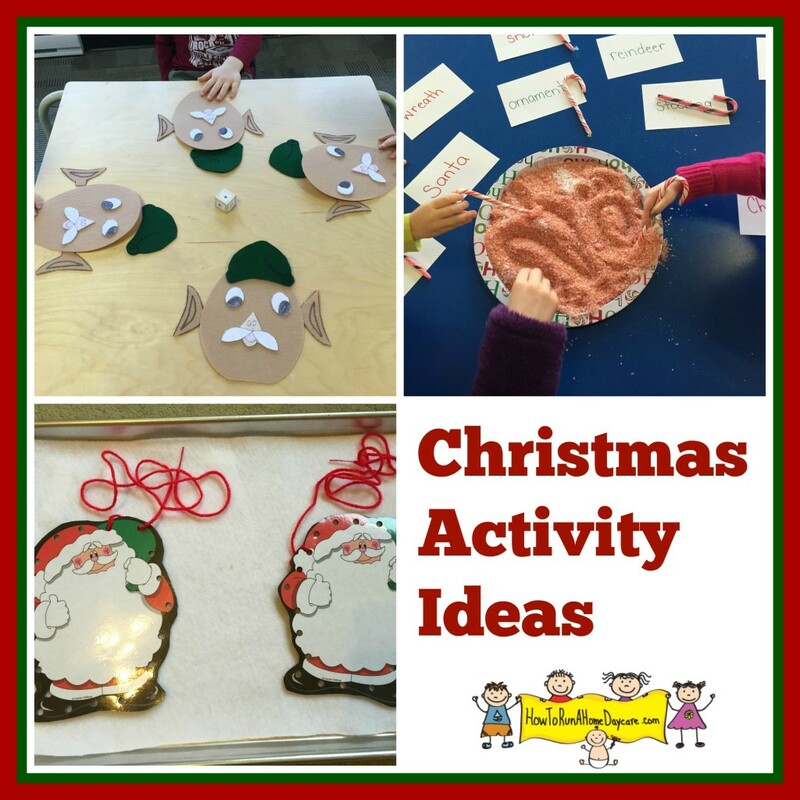 Today I’m going to share with you a few Christmas themed activities that my children have enjoyed in the past. You can make your own version with basic craft materials. 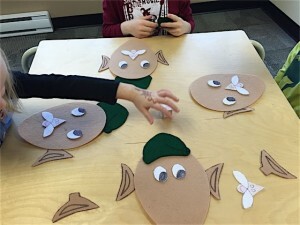 I cut out felt pieces to resemble an elf face. 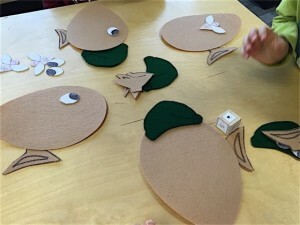 I made a head, two eyes, two ears, a nose & mouth and a hat for each player. If you don’t have felt, construction paper would work as well. Each player starts with only their blank elf face. They take turns rolling the dice (wooden block with paper picture squares glued on it) and add the facial feature they roll. The game ends when everyone has assembled their elf face. Alternatively, you could cut out Christmas trees and have the children roll to add ornaments. Or maybe assemble snowmen, reindeer, gingerbread men? My friend Sarah brought this fun activity to our Christmas co-op party. I thought she had crushed up candy canes to make the red and white coloured sand but it is pickling salt. She wrote Christmas themed words on cards and provided candy canes to use as pencils. 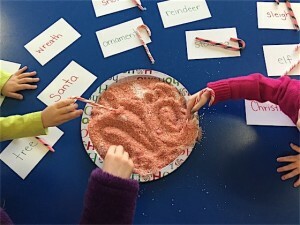 The children spelled the words using the candy canes in the salt. 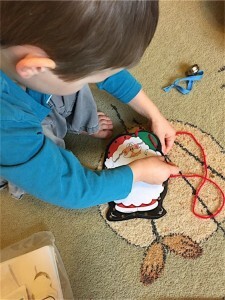 I made these lacing cards from an old Christmas book that was falling apart. 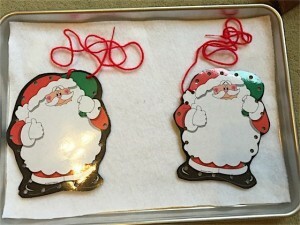 I glued the Santa pictures onto cardboard and then laminated them. You don’t need to laminate them but it does help to lengthen their life span. You can use any Christmas themed pictures you have in colouring books or activity pages. I punched holes around the outside and added red yarn for the lace. If you are using yarn it helps to wrap clear tape around the end of the tip to resemble the end of a shoe lace. 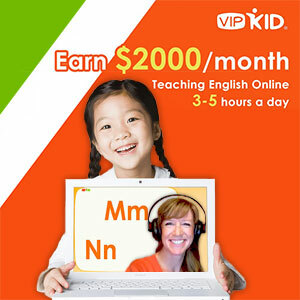 We use these cards to play two different versions depending on the age of the child. I had shape stickers that I glued onto Christmas themed backgrounds. I encourage you to use whatever you have on hand at your house. The younger children like to spread all the cards out face up. They hunt to find each sticker’s match. For example, they look to find the green star elf card that matches up with the green star ornament ball card. My older children like to use these cards in a game of memory. Line the cards up in rows and flip them all face down. 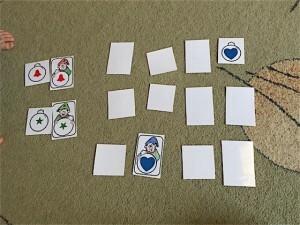 Each child gets to turn over two cards to try to find a match. If they are a match then they get to keep the pair, if not, they turn them back over and try to remember their location. The game continues until all the matches have been located. I hope you have a wonderful week of Christmas activities and a restful holiday! I’ll be taking two weeks off blogging to enjoy some family time. You can expect me back here January 11th.